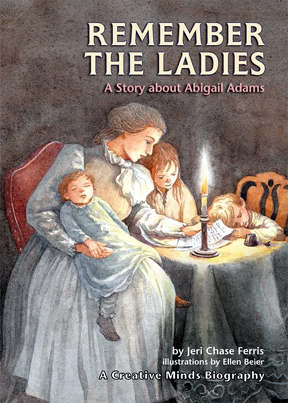 Abigail Adams was the woman behind, and sometimes in front of, John Adams. (John was one of the men who got our new country started, and was the 3rd president of the United States.) When John was busy writing the laws and rules for the new United States, Abigail reminded him to "remember the ladies..." But what did John reply? Probably not what you expect! You'll also learn what was going on in schools and farms and homes during this tumultuous and exciting time in our history. And why did John and Abigail have a falling-out with their former good friend Thomas Jefferson? Did they ever speak again?